If you are self-employed and have been paying into the federal program established by the Self-Employment Contributions Act (SECA), you may be eligible for Social Security Disability Insurance (SSDI). Upon becoming disabled and being unable to work, your rights are similar to any other employee whose employer deducts under the Federal Income Contributions Act (FICA) program. However, the Social Security Administration’s (SSA) processes of evaluating your application and issuing approval are slightly different. This is because the actual income you bring home may not be an accurate measure of how much you are working. 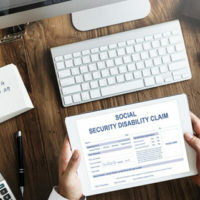 The focus is still on your substantial gainful activity though, so you should discuss the three tests of the SSA with a knowledgeable SSDI lawyer. Significant Services and Substantial Income: You will face this test for SSDI first, and you may not move on to the others if SSA finds that you fall below the substantial gainful activity standard. The “significant” factor looks at the effort you contribute to your business. If you are the only worker, you automatically play a significant role. For entities with more than one worker in self-employment, you are significant if you contribute more than half the time necessary to operate the company OR you act in a managerial position for more than 46 hours per month. Your income is “substantial” if you average more than the substantial gainful activity amount as established by the SSA, which is currently $1,180. Wages may also be considered substantial if they were approximately the same as what you earned before your disability, or are similar to what a non-disabled person makes. This aspect of the test concentrates on the conditions in your community, and on the income earned by a person self-employed in the same industry as your own. The amount of energy you expend in working. Worth of Work: This test assesses the value of your contribution to your self-employment business. You may meet the substantial gainful activity standard – and will NOT qualify for SSDI – if the worth of your work is more than $1,180. A secondary factor is whether you must expend this same if you need to hire someone to do your job. If you are self-employed and want to know more about your rights to SSDI or other disability benefits, please contact Steinhardt, Siskind and Lieberman, LLC. Our knowledgeable lawyers can answer your questions and explain your options after conducting a consultation about your claim. We have offices throughout Maryland, including in Glen Burnie, Owings Mills, Ellicott City, and Annapolis.